Travellers and residents across the north are being warned of potential major disruption today as Storm Hector sweeps in from the Atlantic. The Met Office has issued a yellow “be aware” weather warning which is expected to last between 3am and 3pm, with a low risk of power cuts and damage to buildings. Met Office spokeswoman Nicola Maxey said there will be winds of up to 60mph affecting the Highlands, Moray and Aberdeen, with “isolated gusts” of 70mph in more exposed areas such as the Western Isles. And she warned that the “unusual” weather for this time of year could have a potentially bigger impact in June when more people are more likely to be towing caravans, hill walking and camping, and when trees are in full leaf and more likely to blown down. Ms Maxey added that garden furniture and children’s trampolines are the types of objects which could easily blow across gardens and present a danger. Network Rail Scotland said their teams would be checking drains and pipes and tunnels carrying streams under the railway at flood-prone locations. Rapid response teams are also on standby to deal with fallen trees and leaf fall. Traffic Scotland also posted a warning on Twitter that bridges could be subject to restrictions or closures today due to the winds. 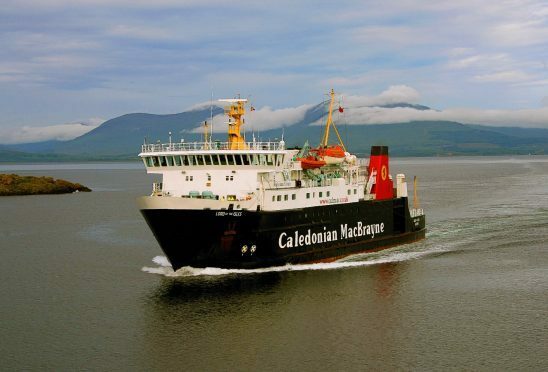 And a number of CalMac sailings are expected to suffer disruption or cancellations today. Director of service delivery, David Gibson, said it is difficult to pin down which individual routes which will be affected but that they expect “significant disruption” in the morning. Most of the 28 CalMac ferry services to the islands were either disrupted or cancelled yesterday as the winds and tidal swells picked up. NorthLink Ferries also said that sailings across the Pentland Firth could be disrupted. According to their website, the 11am and 4.45pm departures from Stromness and 1.15pm and 7pm departures from Scrabster are currently under review. The Met Office forecast is for winds to die down later this afternoon. Mr Gibson added: “Even though winds weaken over the course of tomorrow there is every chance that vessels will be out of position resulting in a disruption knock on effect for the rest of the day.